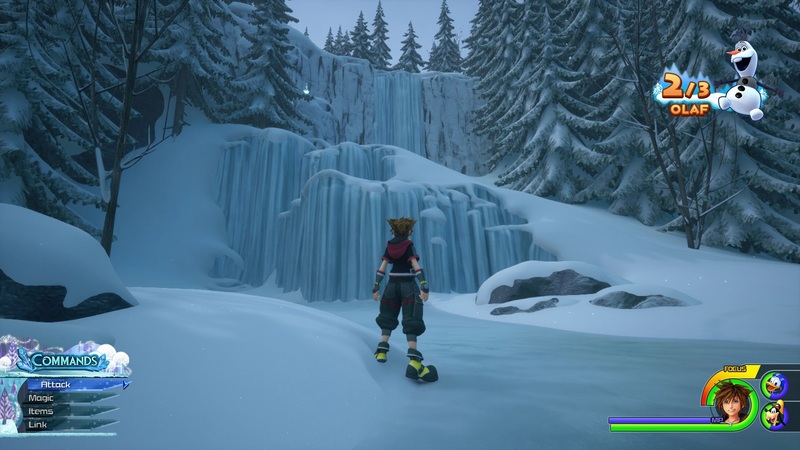 With the inclusion of Disney's Ratatouille, it is no surprise that cooking has been added as a feature to Kingdom Hearts 3. Like most RPGs cooking does serve a beneficial function to the player, especially if you're looking to tackle the game on Proud Mode. In order to unlock the Cuisine feature, players must gather 9 ingredients upon reaching Twilight Town. 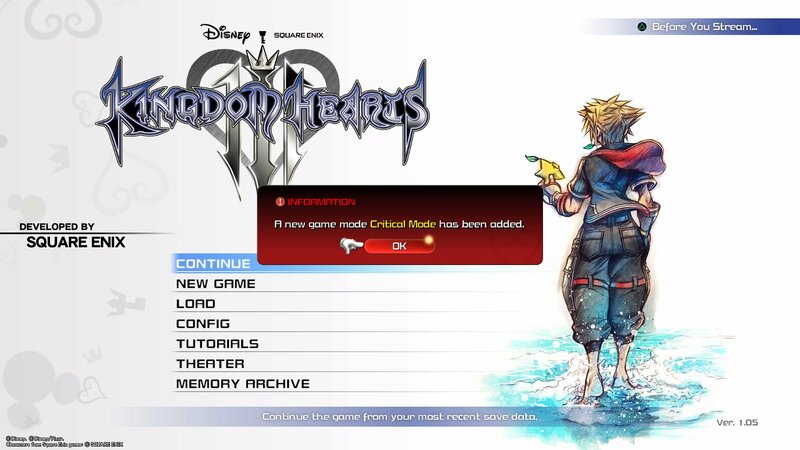 The natural progression of the story will introduce this mechanic to you, so just keep playing - after you progress far enough through the story this segment will automatically begin so there is no chance in missing it. 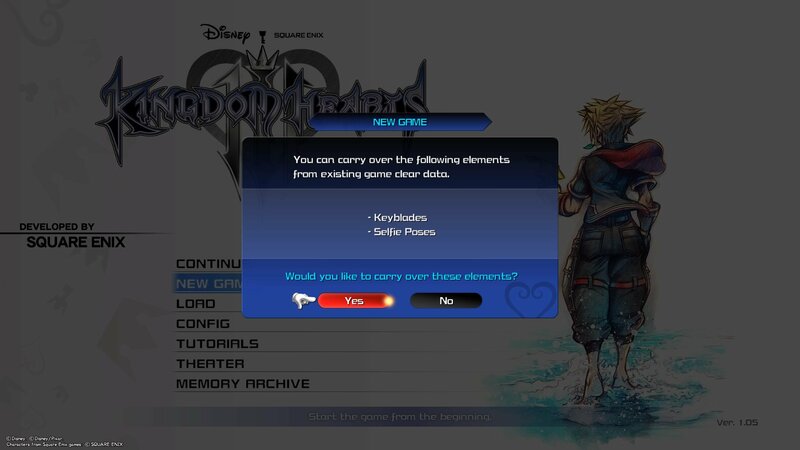 Once cooking is introduced, you'll likely want to get to it right away - but before you do, you'll need to complete some tasks to actually fully unlock the feature. Opening Choices guide: Wisdom, Vitality or Balance - what do you desire? The quest to unlock cooking and the bistro will be naturally introduced by Scrooge - but first, you need to gather those ingredients. 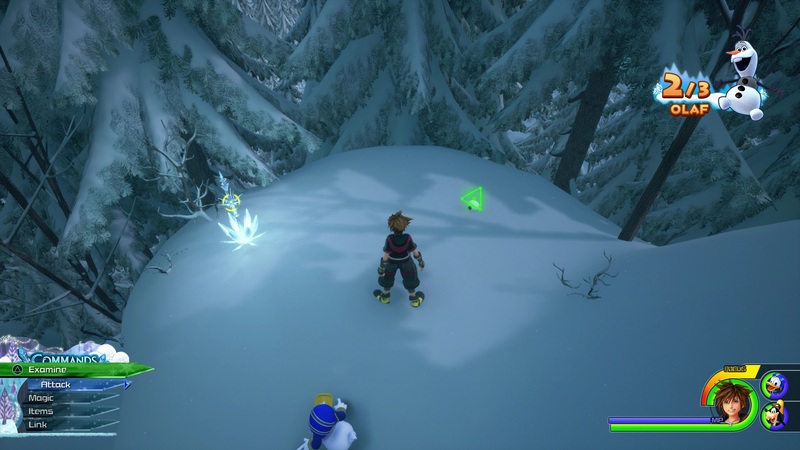 The ingredients for the quest are found around Twilight Town in fruit baskets and white boxes. 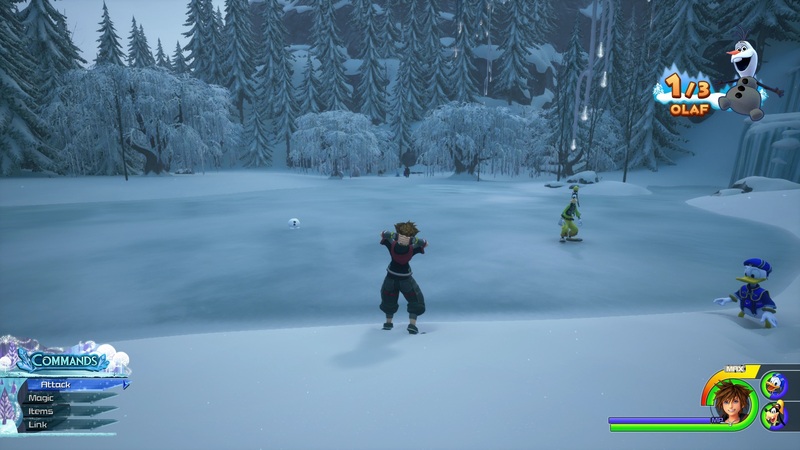 This is good training for the future - the ingredients you need will be found in these white boxes across Kingdom Hearts 3's worlds, plus out in the wild growing or in environmental objects like baskets. Once you've acquired all nine ingredients you can begin cooking. 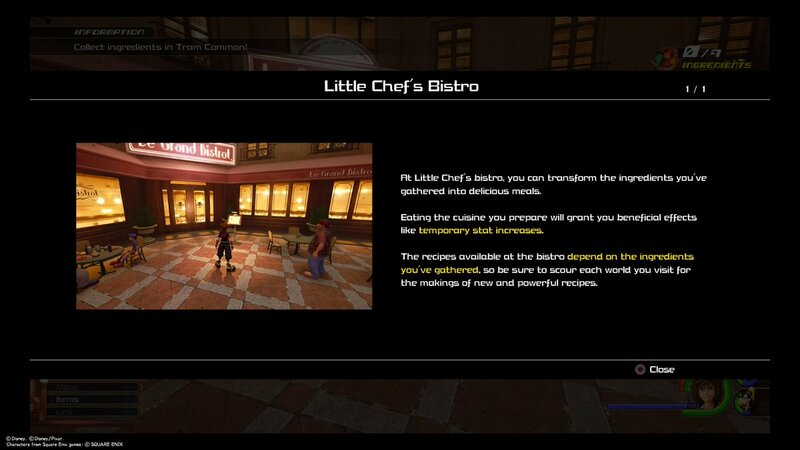 This a fairly simple requirement as you'll collect more than enough ingredients while traversing through your first world to make a couple of dishes. 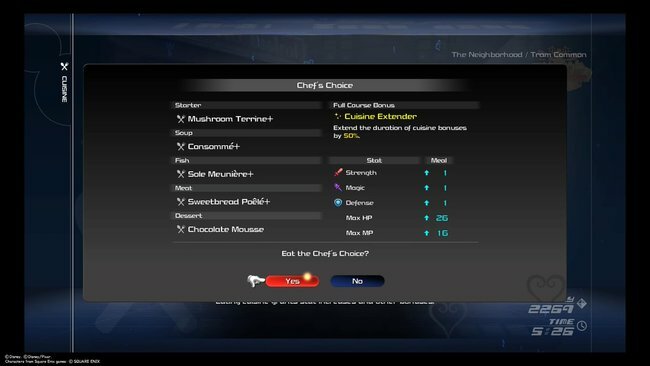 Additionally, some ingredients can even be purchased from the Moogle Shop if you're running low on supplies. After you've unlocked the bistro you can start cooking meals (from here on Le Grand Bistro will also be available from save points to make getting into the kitchen all the easier). The dishes you can create will be darkened and appear as question marks until you've successfully cooked the dish. Keep in mind each dish comes with a unique mini-game you'll need to perform to varying degrees of success to make. The better you do the better enhancements the dish will give you so always try to aim for an excellent. After cooking a certain amount of excellent dishes you'll earn a 1-Star rating and receive the Gourmand Ring, which not only makes it easier for you to get an excellent on any dish you're making, but also gives you one extra ingredient per gathering point. 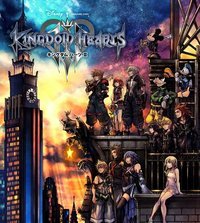 Get the Bistro to five stars and you'll be rewarded with a special keyblade for your efforts. Note that you can also get a second Gourmand Ring from trading in postcards from the moogle shop. This way you can stack up the Chef Extraordinaire ability if you really want to easily nail those 'Excellent' ratings and quickly gather up ingredients. Once you've cooked up some meals you can access your cuisine from the start menu. 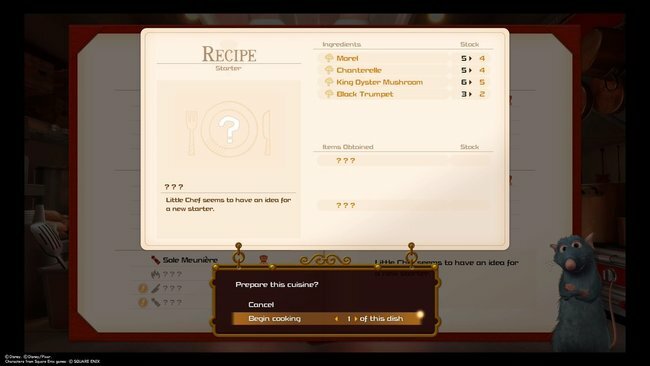 This will go into another sub-menu where you can select what meals to mix and match for the best outcome, or you can let Remy decide for you to preview what bonuses you'll get from the full course meal. 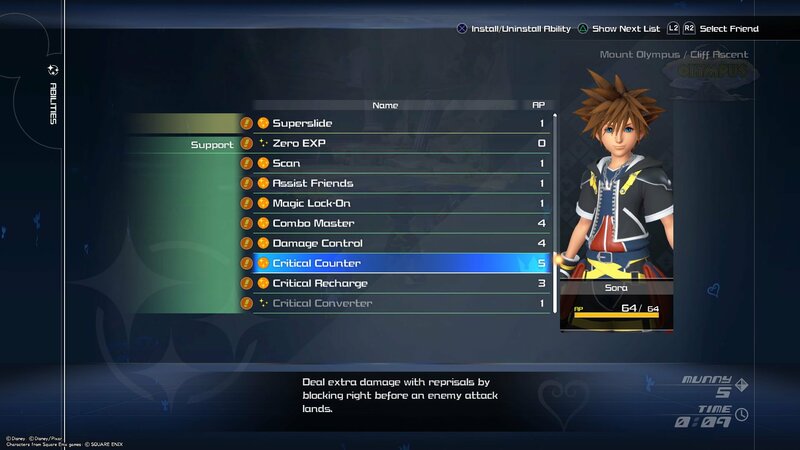 We've listed a myriad of recipes below that will provide multiple status boosts for Sora in combat. Below we've listed each meal, its ingredients and what buff it has when consumed. Once you've gotten all the ingredients necessary for a Special Menu item, you'll unlock a second page of the Bistro's list of dishes, which you can access by simpling pressing R2/RT. Note that these recipes require scoring well on each of their minigames, so be sure to go for that high score on each to earn three of each ingredient at a time instead of just one.